The Korean variants of the Samsung Galaxy S6 Edge Plus have been receiving the latest Android 6.0.1 Marshmallow. official update and the stock firmware files are now available for download. The firmware is now available for all the three Korean variants the SM-G928K/L/S with the build number G928LKLU2BPB1, G928LKLU2BPB1 and G928SKSU2BPAG respectively. Following the Samsung Galaxy Note 5, S6 and S6 Edge, Samsung is now pushing its first official build for its former flagship phone, the Edge Plus. The update is not yet available in other regions as it is rolling out in waves across the globe. Hit the download section below to get the official release for the Korean device. The installation procedure is simple and recommended. Before you proceed, it is highly recommended that you backup everything from apps, data, media etc. It will perform a clean firmware flash via Odin and get you a brand new ROM. Warning: Although going through this procedure should not cause harm or any damage to your device, it remains an unofficial process and you should be cautious about it. We won’t be liable for any damages or a broken device. Reader’s discretion is advised. 1. Verify your device for compatibility. 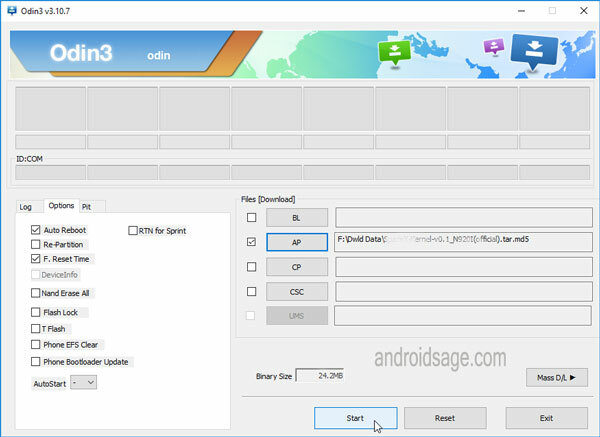 The listed firmware is compatible with Samsung Note 3 and several of its variants only. For other variants, check out the download section.